Be most welcome on my website! Is your life different from what you dreamed? Do you want to have optimal energy, and do what makes you happy? you probably understand how important it is to work on your energy fields. Your physical body will resonate. Click on the images to view the three short videos of the Introduction that take a total of 7 minutes, in which I give an introduction to the video project with animations, on how you can put your energy fields in order. Furthermore, the background of the project and I tell you something about myself, and where this information comes from and how you can read part 2, chapter 13 of The Geometry of Creation (The ancient secret of the flower of life) by Drunvalo Melchizedek. Introduction of almost 7 minutes of a series of videos of 2-15 minutes with UNIQUE ANIMATIONS. 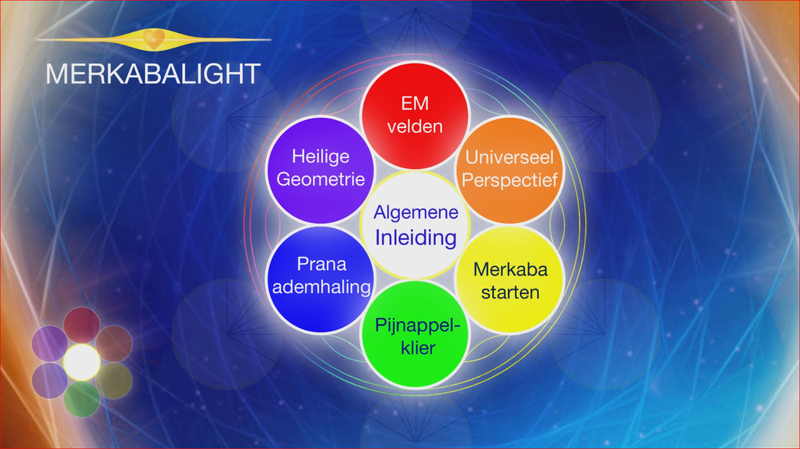 Johanna Kleipool who has worked for over 23 years as a Merkaba teacher, explains about herself, the background of this project; and the source of the knowledge about the Merkaba given by Drunvalo Melchizedek in his books: The Ancient Secret of the Flower of Life. In the second very short video of 3 minutes of the same chapter, Johanna explains about the chapters and system of working in the form of a Highway which contains the essential information. These videos always have a blue background. There will be also several Side Tracks where she gives extra infromation, tells anecdotes and gives extra images and/or material to work with. The videos of the Side Tracks have alwyas an orange background. Enjoy it! Lots of animated videos will follow! 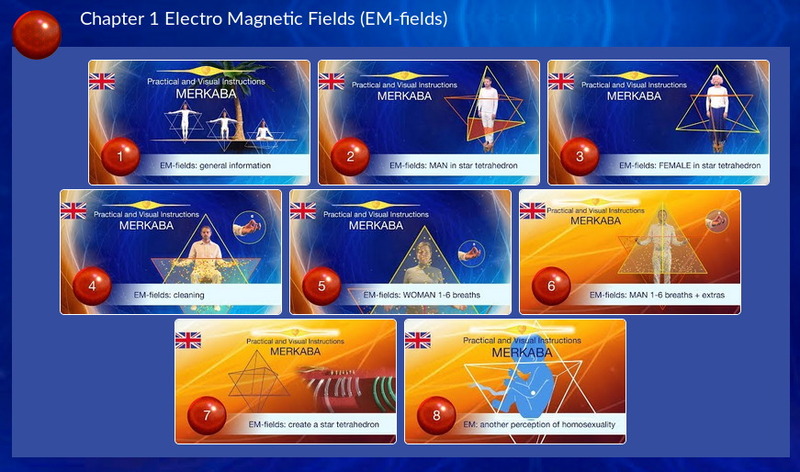 With videos of 1-13 minutes you will receive a lot of information with animated graphics about the ElectroMagnetic (EM) fields. We consist of more than 99% of energy and information, and for only a fraction of 1% of a temporary physical body. So, it is very coherent and logical to work with our own EM-fields. Once these fields are in order, the physical body will resonate with them. You can learn to put these fields again in their proper size and shape, to clean them, and energize them optimally. You can learn this in a very easy and visual way. Please, help us to be able to continue the project. – chapter Blue in which you learn to generate more energy yourself. For detailed information, click on Video series in the Menu above. You can then try further if you want to study this information further. Then you can also view separate chapter Blue and register as you wish. After that you can decide to pay a watching and listening license for the videos of the chapters Red and Blue, and to process the subject material independently. The future videos will then also be available to you. A personal support of 3 months. Only for a few people there is the possibility to receive a personal support of 12 months. Please read (or listen) carefully the following, collapsed text, before you view, listen to, understand, practice and apply this self-study project concerning the care and management of your life energy. How wonderful is it if you can take care of your own energy fields ?! and take responsibility for your life energy, so that you always will be optimally energized, and feel wonderfully well in your own skin and your own energy field. Please, read and/or listen carefully to the following, folded text before you look, listen, understand, practice and apply this self-study project on the care and manegement of your own life energy. You can learn to be optimally energized and feel splendid. Take your time and follow each video carefully and in good order; otherwise you will not understand the logic and structure of this project. You do it independently, but you are not alone. So, enjoy it and let go of old thoughts like: 'I can not do it'. Thousands and thousands of people have already preceded you all over the world. In the Ancient Egypt it took 24 years of education and training; in the last 30 years 6 to 3 full days, under the guidance of a teacher. Now you get the chance to do it independently at home with video material that I have compressed in such a way with added with self-developed animations, that you can do it independently. As already mentioned, the total video footage takes about 3 hours. I can not say exactly, because there are still videos to be made. Take the time and effort to watch, stop, rewind, and understand a video several times. Patience and attention are two other, important ingredients. This information also exists in book form, written by Drunvalo Melchizedek: The Ancient Secret of the Flower of Life. You can look at volume 2, chapter 13, and get even much more enriching and valuable information from those books. 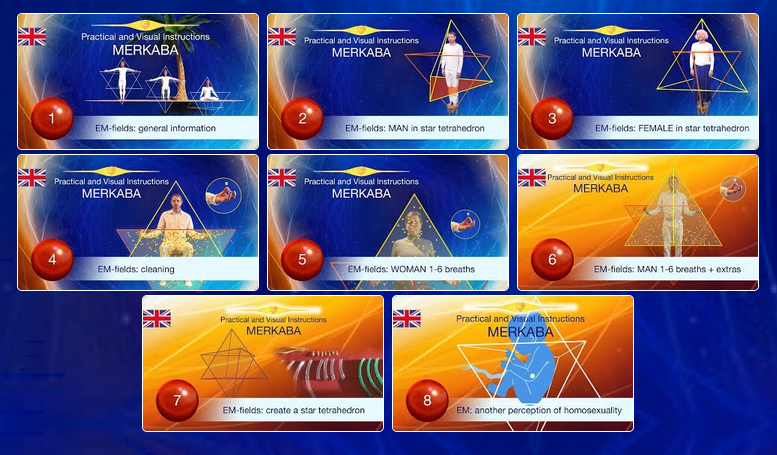 At the moment I am -with the aid of my graphic designer Demian Geerlings- putting these important Merkaba teachings with self-developed animations on video. Every moment I am sitting beside Demian to give the instructions. This video series so far exist in Dutch, Spanish and English. Chapter 1 -Red sphere- (Electro-magnetic fields = EM fields) you will learn how you can work with your own EM fields, arrange them and clean them up. (The videos of the White and Red spheres are meanwhile available for everyone). Chapter 2 -Blue Sphere (Prana breathing) you learn how to energize yourself after having cleaned up your fields. These videos are also available free of charge, but I do ask for a voluntary contribution to continue the project. Chapter 3 -Yellow sphere- (Merkaba) you learn to make your EM fields spin; at such high speeds, that their shape changes from a star tetrahedron that looks like a spacial Star of David, to a Torus field that looks like an apple, and then to your Merkaba, which looks like a flying saucer and which has a diameter of 10 x your body length. (see Promo video 1). Your Merkaba field is simply measurable with a dowsing rod. (The videos of this chapter are are in preparation). Meanwhile, 'my' Motion Designer -Demian Geerlings- and I, have built a new website in 3 languages and this website is the home of all videos. If you come across something that is not working properly yet, I would appreciate it if you put it in one of my forms on the website. So, and now we can continue with the project and make the videos from Chapter 3 - the Yellow sphere. The video series is constantly being expanded. Your contribution to the project, in the form of a financial gift, is very, very welcome and can be effected in the right (side) column! I can imagine - with deep gratitude and warmth - that each of these videos will soon play an important role in different parts of the world. I am willing to expand the series in any language; from Afghan, via Chinese, German, Greek, Portuguese, Turkish to Zimbabwean. The whole alphabet of the countries. Once the Merkaba project has been completed, I intend to put even more useful teachings on video. These impressions are the beginning of a series of videos from 2-15 minutes with UNIQUE ANIMATIONS. You can learn to work with your own energy fields so that you can more and more radiate and move yourself anywhere without losing energy. Created by Johanna Kleipool who has been a licenced Merkaba teacher for over 23 years. The contents of this work is based upon the knowledge and full explanation by Drunvalo Melchizedek, which you can find in his books: The Ancient Secret of the Flower of Life. 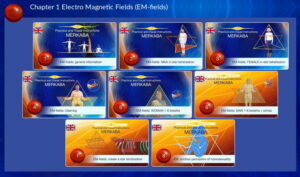 Around everything and everybody there are these energy fields. Unfortunately. most people have their fields deformed, due to hurtful experiences which lead to fatigue, lethargy, and/or depression. In five minutes per day you can put your fields in order so that you can bubble and radiate again. Everybody can learn this; from young to old people; from illiterate to professors. Learn to have your fields in order and to discharge your emotional burdens. Next learn to incite energy from the inside outwards and to energize yourself optimally. Learn to work with your own energy fields, and create your Merkaba. Merkaba is your own energy fields, totally in order, completely cleaned, optimally energized and spinning so fast that their forms change from this form to this in-between form and then to this form which looks like a flying saucer which we call Merkaba. This form is not a Merkaba, although it is often called as such. However, it’s the basic form of the Merkaba. The big advantage of this work is that you can be anywhere without getting exhausted. After a short introduction you can start with chapter 1. Enjoy it and be deliciously vital and radiant! Stay informed by subscribing to my Newsletter.